1. Firstly steam the kipfler till medium, remove and allow to cool. 2. Slice the eggplant and zucchini, then lightly char grill, then remove and allow to cool. 3. Also char grill the capsicums to remove the skin, then allow to cool. 4. Slice thick slices of the kipfler potatoes. 5. Lay out the paperbark stringy side down and lightly spray with canola oil to prevent sticking. 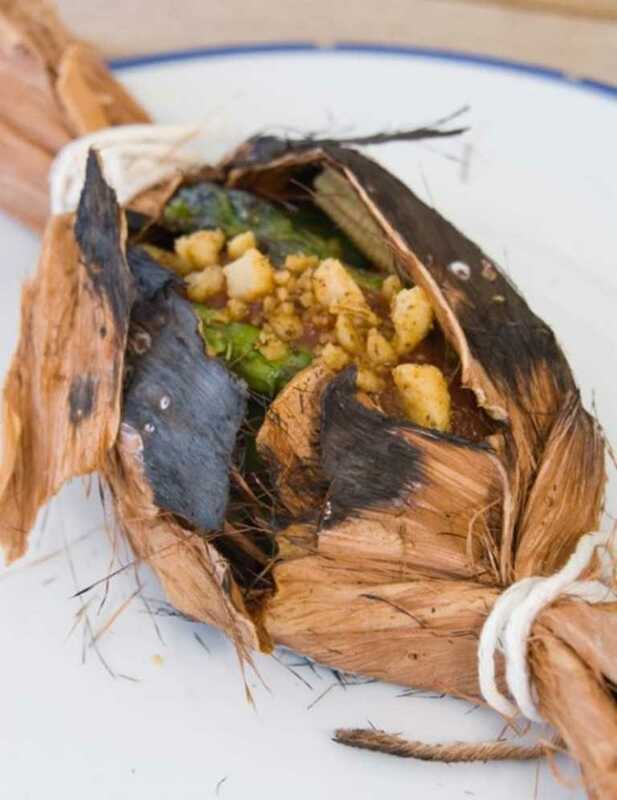 In the centre of the paperbark sheet, begin to layer the vegetables starting with kipfler potatoes, eggplant, zucchini, capsicum ensure a little Australian Wildfire Spice is dusted on each vegetable. 6. Top with 2 spears of asparagus and baby corn. 7. Then wrap the vegetables in the paperbark and tie tightly with twine to prevent any moisture escaping at each end. 8. Seal all sides of the paperbark parcel on the grill and finish in a hot oven for 14 minutes. 9. Place on a plate, then cut the twine off each end and open the Paperbark Smoked Vegetable Parcel, and top with some Bush Tomato Chutney to serve.